Feel the electric groove of the rhythmic sounds of the 60s in this 60s Beat Goes On Dress Adult Womens Costume. 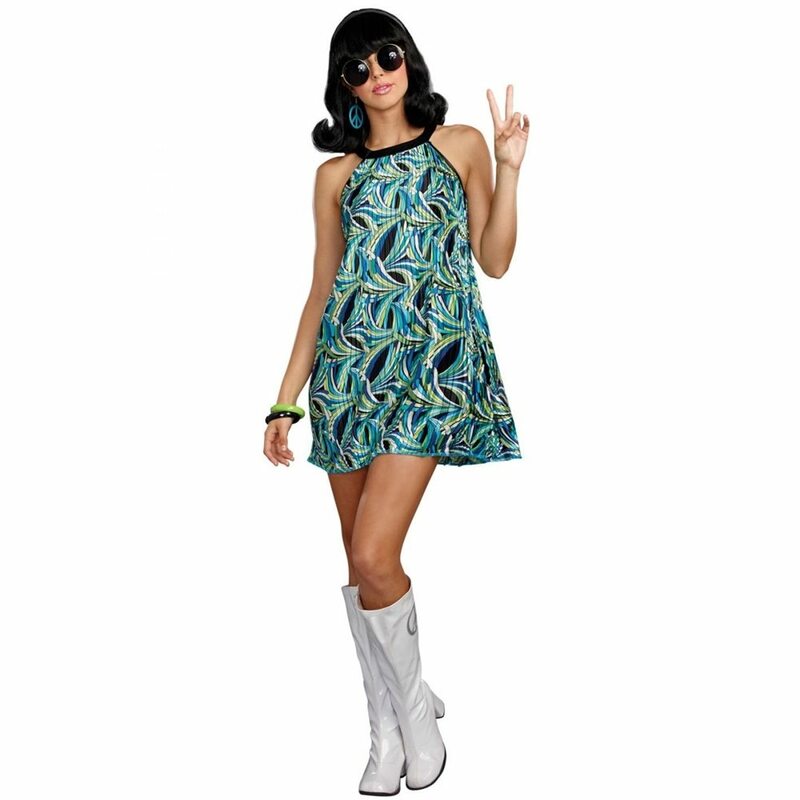 The 60s 4-piece women’s costume includes a mod print dress, metal frame sunglasses, a headband, and peace sign earrings. Made of 94% polyester and 6% spandex, the accordion-pleated dress features a unique blue, green, white and black mod pattern with a satin black collar. The included large, round frame sunglasses with black tinted lenses, black headband, and a pair of blue peace sign earrings complete your 60s inspired look and transformation this Halloween.